NC Truck and Diesel is a full service semi truck, heavy duty, medium duty and commercial truck repair shop conveniently located in central North Carolina. We proudly service and repair diesel trucks of various kinds and we have a full line of parts in stock ready to repair your truck so that you can get back on the road fast. At NC Truck and Diesel, we understand that every minute that your truck is off the road costs you and your business money. That is why each and every person here at NC Truck and Diesel is focused on getting you back on the road as quickly as possible. No other heavy duty truck repair shop in the area has our level of commitment to getting you back on the road as fast as possible with a top-quality repair as NC Truck and Diesel. All of us at NC Truck and Diesel are proud of our level of knowledge in general repair and maintenance of semi trucks, heavy duty trucks, medium duty trucks and other commercial trucks. From oil changes to engine overhauls, no other truck repair shop in the area does as good of a job, as fast as we do and with our dedication to excellence in every aspect of the repair process. From the moment you call or stop by to the time you are back on the road, you can rest assured we have your back.  NC Truck and Diesel is a state-of-the art truck repair shop in central North Carolina with highly trained and experienced truck technicians all focused on not only getting you back on the road fast but also on making sure your truck runs in excellent condition for years down the road. Is your truck in need of maintenance in order to keep it running smoothly for miles to come? NC Truck and Diesel provides a wide variety of truck maintenance and repair services for your medium to heavy duty truck. Our diesel mechanics are some of the finest mechanics you will find anywhere. The mechanics at NC Trucks and Diesel have the know-how, experience and knowledge it takes to get your rig back on the road fast with a job that was done right. 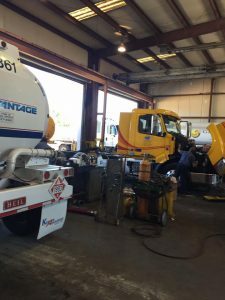 At NC Truck sand Diesel, our mechanics understand that you and your business need to get your heavy to medium duty truck back on the road as soon as possible and everyone here is committed to doing just that. Is your truck in need of repair? We are committed to your complete satisfaction with your truck repair and hope to be your one stop resource for all of your truck repair and truck parts needs. Either stop by or give us a call at (919) 934-9345 today!